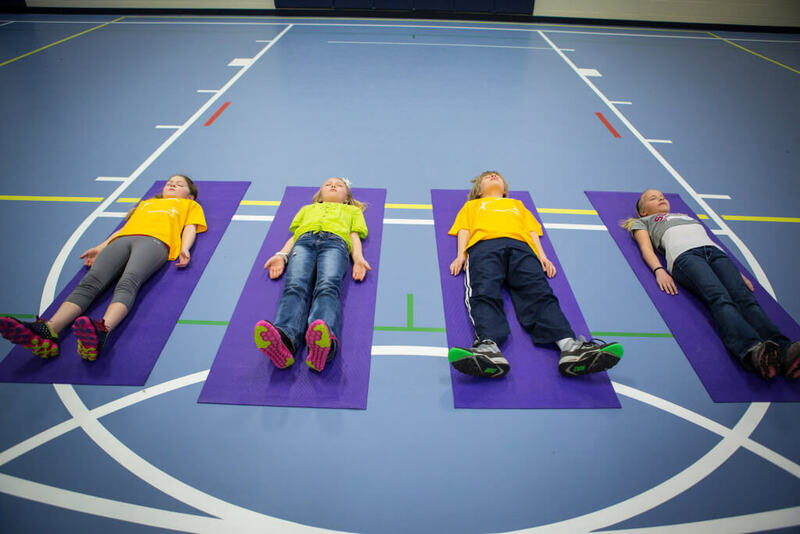 Youth learn about the negative impact stress has on their bodies and become motivated to do things to lower their stress levels. Stress: What Brings it On? This lesson helps young people understand the causes and effects of stress and learn some techniques for dealing with it. The youth will identify physical symptoms of stress and list some situations that may bring them on. They will learn some skills for managing stress and make their very own stress ball. Introduce the young people to the topic of stress. Let them know that we’ve all had times when our bodies react to stress and we can feel it. It’s the sensation also known as “flight or fight.” Our bodies’ natural way of coping with being frightened or challenged is to release certain chemicals into our bloodstream that provide extra short-term energy and alertness. Our instincts take over and “tell” us that we are facing danger and we either need to defend ourselves (fight) or get away (flight). Sometimes when this happens we do things we didn’t think we could, such as run very fast or lift something heavy. We may also notice that our hearts beating harder and faster, our hands getting sweaty and cold, or our faces feeling flushed and hot. Chances are everyone will have had many experiences of this. Ask for a few descriptions of what that looks and feels like. Young people might also describe feeling “butterflies” in their stomachs or having dry mouths. Then explain that when this happens the options for what a person can do to respond become very limited because instinct takes over and we lose our ability to fully use the part of our brains that makes rational decisions. Fortunately, by understanding what triggers our “fight or flight” reaction and learning skills to deal with it, we can learn to prevent some stress responses and calm ourselves down from those that do happen. Activity: How Do You Know if it’s Stress? Ask young people to each draw or write images on their “body” of where they feel stress and how they know they are having a stress response. How easy or hard was it to think of ways your body reacts to stress? What are some of the ways you thought of that your body reacts to stress? Does everyone respond the same way? Activity: What brings stress on? Complete the Stress: What Brings it On? worksheet. There doesn’t need to be a lot of discussion about this worksheet as long as you process it at the end of the session as described in the conclusion. Do point out, however, that one way of both avoiding stress and getting better at dealing with it is to become more aware of what brings it on for you personally. This worksheet helps people think about and identify their own personal stress triggers. Introduce the stress ball as a way to help deal with stress. These objects are popular because squeezing the ball in your hand helps reduce tension throughout your body. It may be even more effective if you pay attention to your breath as you squeeze: breathe in as you squeeze the ball, breathe out as you relax your hand. Take two or three balloons and cut the tops off just above the rounded area, so that all is left is the round part of the balloon. You will also need one uncut balloon. Take the uncut balloon and stretch the opening over the narrow end of the funnel. Have young people work in pairs so one can hold the funnel while the other fills it the balloon. Slowly and carefully pour about half a cup of millet seed into the funnel. The amount with vary depending on the size of balloon you use. Make sure it all goes into the balloon. Add more if necessary. Once the balloon is full to the top of the rounded part, without stretching the balloon, stop filling. Remove the funnel and tie a tight knot just above the round part of the balloon. Do not cut off the end of the balloon. Take one of the cut balloons and stretch it over the tied millet-filled balloon. Make sure the tied end is covered first. Continue adding more cut balloons, always covering the open end of the previous balloon first until you have several layers. This way if one layer breaks the seed will not spill out. The number of balloons you will need will depend on how strong and thick the balloons are. If you use good quality, thick balloons, you should only need three in addition to the filled balloon. If you use weaker balloons, you may need to use four or more. With use, your stress ball will become dirty, so you can either clean carefully with very mild soap and water, or remove the outer balloon and add a new one. Hand out the Healthy Families Newsletter in English or Spanish so that families can continue discussing stress and healthy ways to deal with it at home.